So, you’re interested in buying or leasing a new three-row, 7-passenger SUV — we’re thrilled for you! At Joe Holland Chevrolet, Hyundai, Volkswagen we make the selection process simple. When you visit our Volkswagen dealership in South Charleston, WV, we’ll help you compare the new 2018 Volkswagen Atlas to its competition, so you can see why the new VW Atlas is the 7-passenger SUV you’ve been looking for. In fact, it’s already been named the Best Mid-Size SUV of 2018 by Good Housekeeping and the Best Large Utility of 2018 by MotorWeek Drivers’ Choice! When you stop to compare the new 2018 Atlas against the 2018 Ford Explorer, 2018 Acura MDX and 2018 Honda Pilot, you’ll see that there’s simply no comparison. 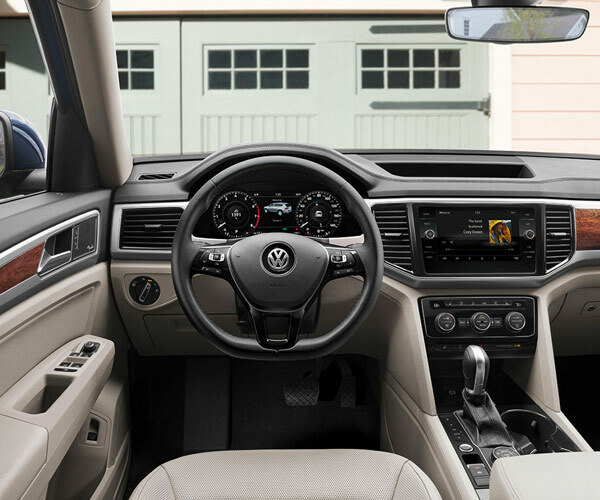 Visit us today to buy or lease a 2018 Volkswagen Atlas! When you stack the 2018 VW Atlas SUV up against comparably equipped Ford, Acura and Honda models, you’ll find that the new 2018 Atlas is one of the most affordable three-row, 7-passenger SUVs on our list. Hitching up trailers for long weekends will be easy with a 5,000-pound max towing capacity and 266 pound-feet of torque, and you’ll appreciate the freedom that your 96.8 cubic feet of cargo space provides when packing for journeys. You wouldn’t be able to store this much if you had gone with the 2018 Ford Explorer, 2018 Acura MDX or 2018 Honda Pilot, and your passenger volume would be noticeably reduced. 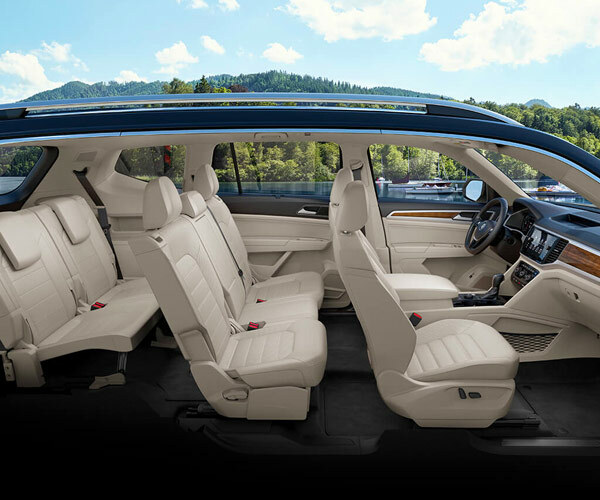 In terms of interior space, your 2018 Volkswagen Atlas SUV offers the most third-row legroom out of your four options, so everyone can stretch out and relax. And thanks to a 5-Star Safety Rating by the NHTSA and a 6-year/72,000-mile transferable Bumper-to-Bumper Limited Warranty,1 you can cruise with peace of mind, too — After all, your new VW Atlas was named a 2017 IIHS Top Safety Pick when equipped with Front Assist. Whichever way you choose to look at it, the new 2018 Volkswagen Atlas three-row, 7-passenger SUV comes out on top. Visit Joe Holland Chevrolet, Hyundai, Volkswagen today to schedule a test-drive and to buy or lease a new 2018 VW Atlas! 1 6 years/72,000 miles (whichever occurs first) New Vehicle Limited Warranty on MY2018 VW vehicles, excluding e-Golf. 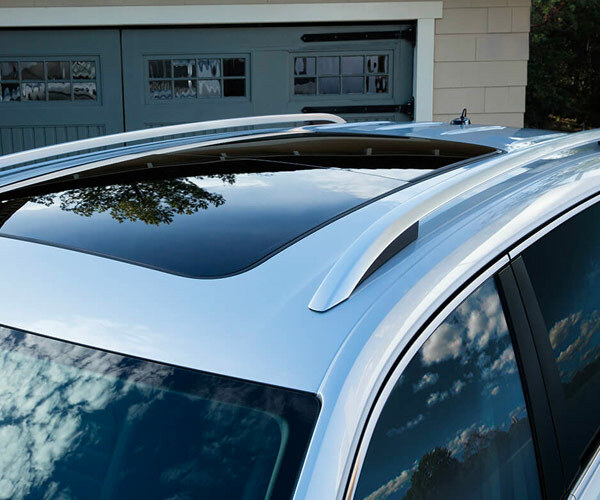 Claim based on manufacturers’ published data on length and transferability of car and SUV Bumper-to-Bumper/Basic warranty only. Not based on other separate warranties. See owner’s literature or dealer for warranty exclusions and limitations.